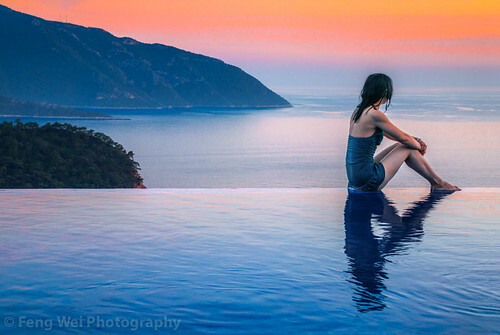 Female tourist sitting by an infinity pool, enjoying sunset over Mediterranean coast, at Kabak, in Fethyie district, Muğla province, Mediterranean region of Turkey. © All rights reserved. You may not use this photo in website, blog or any other media without my explicit permission.